The James Beard Foundation challenged chefs to develop or share a burger recipe that replaced at least 25% of the meat with mushrooms. Diners were asked to choose the best of the preparations. Here are the five they chose as the top contenders. 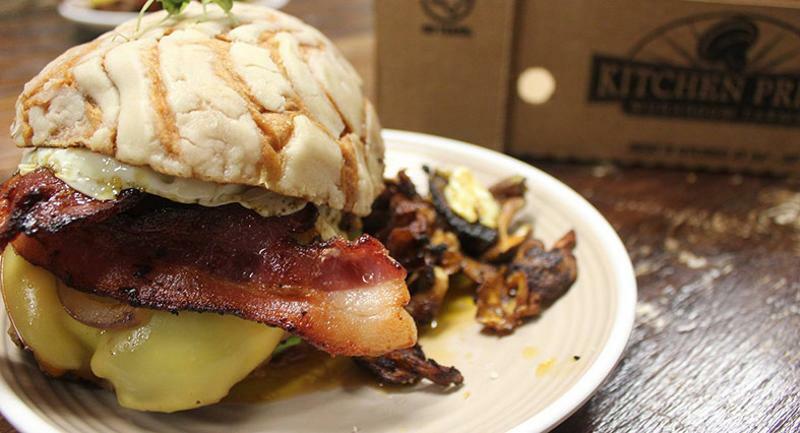 The Bareburger full-service chain is known for its use of unusual meats, from ostrich to bison. The New Age-y concept took home a win for chef Anthony Roman’s wild boar and sweet tamari mushroom burger. 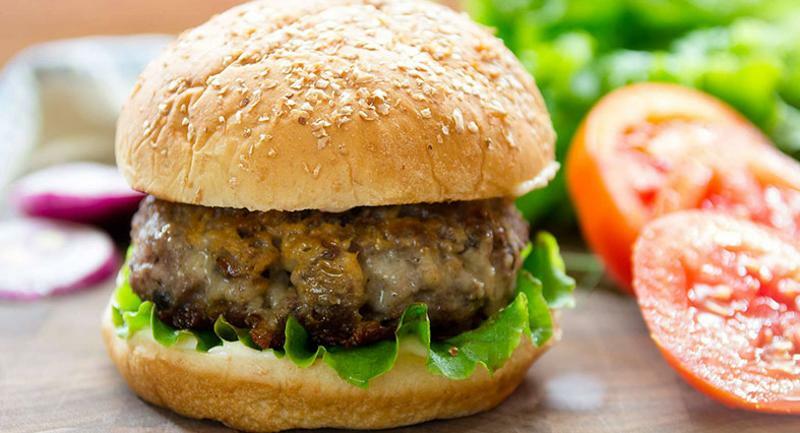 Adding mushroom flavored with tamari instead of soy sauce made the burger gluten-free, with what was described as an umami complement to the wild boar’s flavor profile. 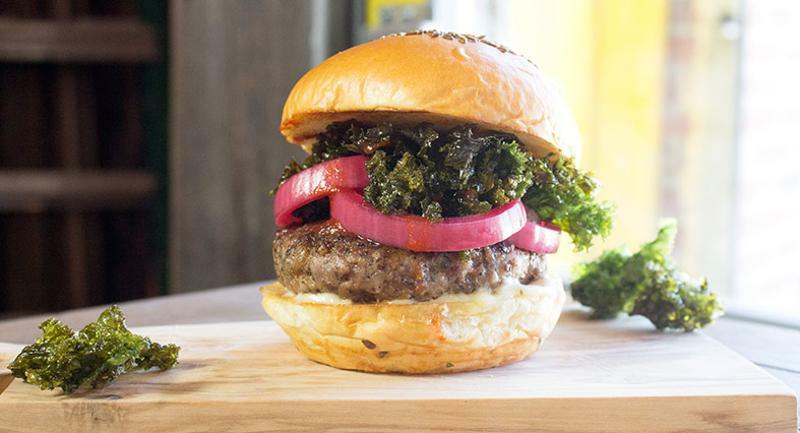 The burger is topped with red onion, crispy mustard greens and Sriracha vinaigrette. 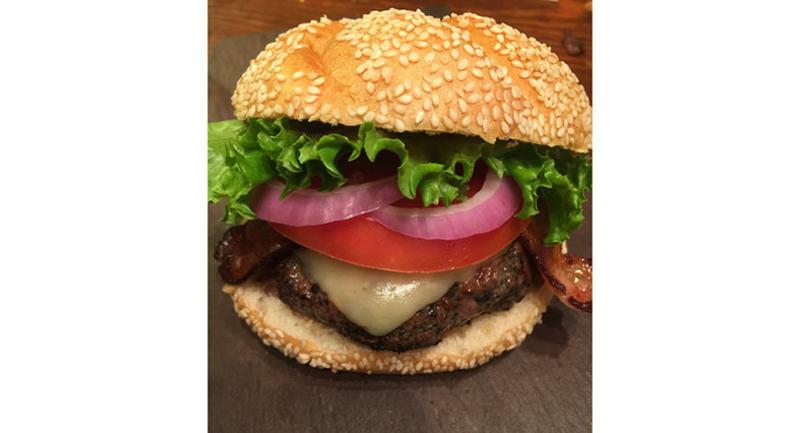 The blended burger is full of local ingredients, including charred Vidalia onions and cattle beef. It's glazed with Worcestershire sauce and seated on a mushroom-salted brioche bun. 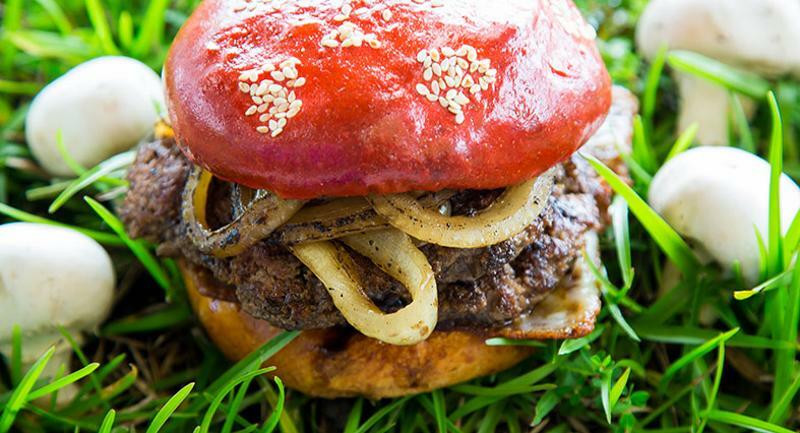 Chef Logan Guleff’s Monster Mushroom Burger is equal parts portobello and ground beef seasoned with the Underground Supper Club’s signature Legends spice blend. Everything is topped with fontina cheese, lettuce, tomato and bacon. Chef Toni Elkhouri broke down the ingredients of a classic burger at Cedar's Cafe, her restaurant in Melbourne, Fla. “I’m Lebanese, so I always have to pay homage to that flavor profile,” she says. Elkhouri set out to make surprising substitutions for familiar toppings, such as using tahini and Greek yogurt in place of mayo. She also used homemade pomegranate ketchup and banana pepper mustard with curry powder. 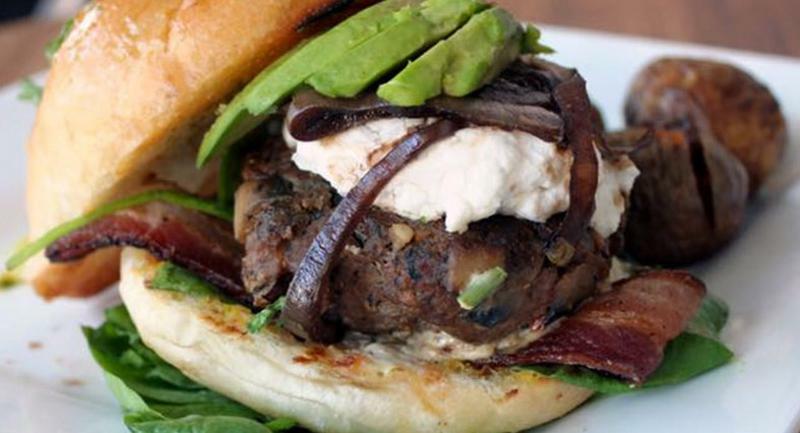 She choose three different mushrooms to blend with the beef and topped her creation with goat cheese, peppery bacon, spinach and avocado. Fig jam and a ciabatta bun round out her entry. “I wanted to create something where if you listed all the ingredients, mentally, you don’t think it works; but when you take a bite, you’re like, ‘It works,’” she says. Sometimes, the best ideas sprout from boredom. That was the case for chef Adrian Cruz and his brother at The Orchard Lounge in McAllen, Texas. After visiting the bakery where the restaurant makes their bread, the Cruz brothers picked up some conchas to take home to their mother. Bored in the kitchen, the brothers decided to experiment using the Mexican sweet bread to make a burger. They blended beef with chorizo and added eggs and bacon to create a Latin-inspired breakfast burger. After hearing of the James Beard competition, the Cruz brothers went a step further, replacing half the meat with mushrooms to soak up the beef and chorizo flavor as well as cut down on calories. Strawberry fig jam added tanginess to the savory and sweet burger, which is served on a modified brioche-style concha bun.